We all are becoming more conscious of keeping our skin safe from the sun when outdoors. We hope sunscreen and covering up with shirts shield us, but it is hard to know how protected you actually are. Mott 50 is a new fashion line that offers sun protective clothing, with UPF in every garment. Their men’s polo comes in a variety of different colors, they have a perfect classic fit with the added benefit of sun protection. 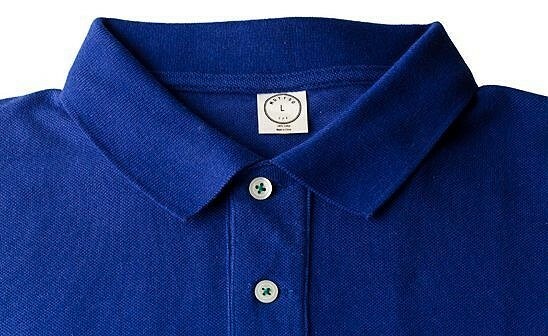 Each polo has a 50 UPF rating. UPF stands for ultraviolet protection factor. This index tells you how much of the sun’s UV rays are absorbed by the fabric before it reaches your skin. This means that only 1/50th (or 1%) of UV radiation can penetrate through the fabric of Mott 50s clothing. A white T-shirt, for example, is only a 5 UPF, meaning it doesn’t provide a lot of coverage. If you really want to protect your skin from sun damage and premature aging, add a layer of clothing which delivers protection as well as style. Mott 50 delivers fashion that protects. We all are becoming more conscious of keeping our skin safe from the sun when outdoors. We hope sunscreen and covering up with shirts shield us, but it is hard to know how protected you actually are. Mott 50 is a new fashion line that offers sun protective clothing, with UPF in every garment. Their men’s polo comes in a variety of different colors, they have a perfect classic fit with the added benefit of sun protection. Each polo has a 50 UPF rating. UPF stands for ultraviolet protection factor. This index tells you how much of the sun’s UV rays are absorbed by the fabric before it reaches your skin. This means that only 1/50th (or 1%) of UV radiation can penetrate through the fabric of Mott 50s clothing. A white T-shirt, for example, is only a 5 UPF, meaning it doesn’t provide a lot of coverage.